Intex has introduced Aqua Lions 3 smartphone in the Aqua series which runs on Android Nougat and has support for 4G VoLTE. Intex Aqua Lions 3 feature a 5-inch HD 2.5D curved glass display powered by a Quad-core MediaTek MT6737 processor with 2GB of RAM and 16GB of internal storage which is further expandable with MicroSD card. Dual SIM Phone runs on Android 7.0 (Nougat). It has 8-megapixel front and rear cameras with LED flash for both.It comes pre-loaded with Swiftkey that has support for 22 Indian languages, plus -lish languages like Hinglish.Packed with a 4000mAh battery. Commenting on the launch, Ishita Bansal, Product Head – Mobiles, Intex Technologies said: With Aqua Lions 3 smartphone, we are not only providing the best specs but also with SwiftKey keyboard integration enabling Intex’s diverse consumers from different parts of the country the freedom and joy to express themselves in their mother tongue. Intex has always designed products keeping in mind consumers’ needs & demands and Aqua Lions 3 model will surely be a delight. SwiftKey India Country Head, Sarabjeet Singh said: Indian consumers are the fastest adopters of smartphone technology, yet, they have had to compromise when it comes to typing their mix of languages on mobile devices. Now, with SwiftKey’s three adaptive ways to type Indian languages, every Indian user can communicate easily. We’re excited to make this available to Intex customers. 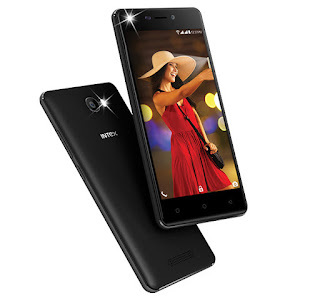 Intex Aqua Lions 3 comes in Black and Gold colors and is priced at Rs. 6499. at this price range Redmi 4 and Infocus Turbo 5 available which offers Metal Body and fingerprint Scanner.